Ranveer is starring in movie Gully Boy based on the lives of Naezy And Divine. Actor Ranveer Singh, who has been seen in a good number of roles over the years, is gearing up for the release of his next movie titled Gully Boy. The movie, which is directed by Zoya Akhtar, is about an aspiring rapper from a ghetto in Bombay, and it was inspired by real-life hip hop artists, Naezy and Divine. Ranveer, who plays a rapper in the film, met the two artists outside a recording studio, where he posed for pictures with them. 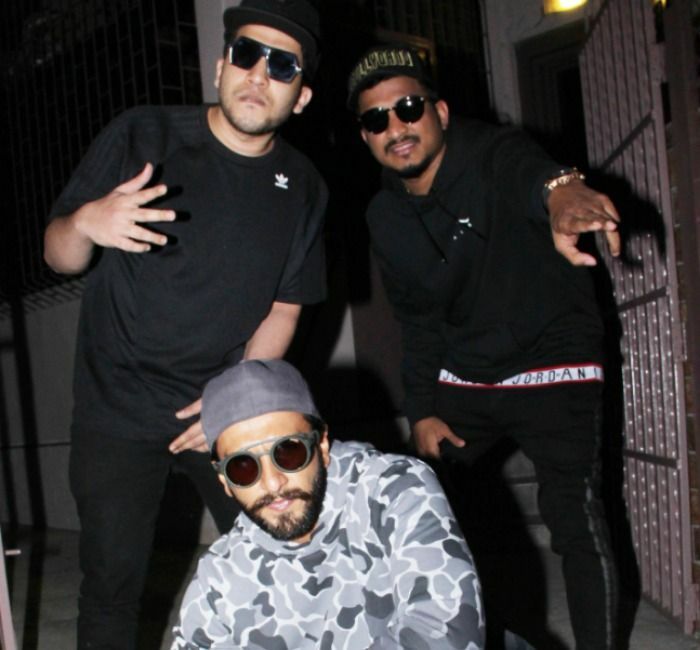 Ranveer looked every bit a rapper in the camouflage grey sweatshirt, black denims, cap and dark glasses, as he posed with Naezy and Divine, both who were dressed almost the same as him. From the pictures, it looked like Ranveer was all set to belt out a few numbers. 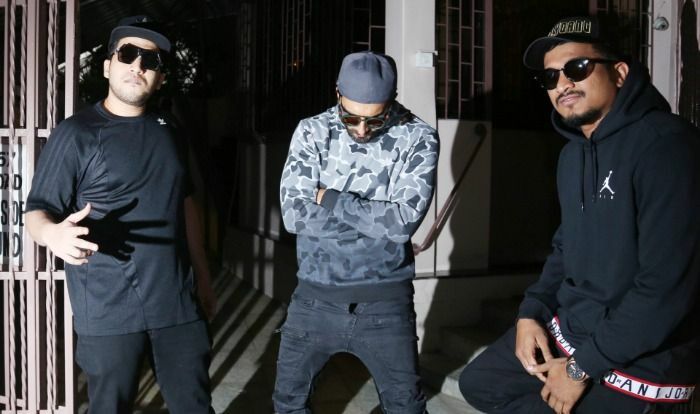 Naezy and Divine are said to have come into the spotlight with their rap hit Mere Gully Mein, which showed the life of the people living in the slums of Mumbai. On the movie Gully Boy, it also stars Alia Bhatt in the lead role, and it has already generated a good amount of interest among viewers, with many of them praising Ranveer for his performance as a rapper. Though fans cannot wait for the movie to be released, some have however, compared it to American rapper Eminem’s movie 8 Mile, which was released in 2002 and is about the rapper’s actual upbringing, and his attempt to launch a career in a genre dominated by African-Americans. Gully Boy, which was produced by Tiger Baby and Excel Entertainment, is set to be released on February 14, 2019.